In nature, an imperfection in an oyster is slowly encased by a calcium compound, and the layers built around it form what we know as a pearl. Sometimes, the underwater process creates something of great value, and sometimes the result is not so perfect, but still amazing. Something similar came from the depths of the ocean back in 1977, a show that had great promise despite the flaws in its premise. And despite the lack of perfection, there’s still something worth watching in adventures under the sea. Man From Atlantis aired on NBC, first in early 1977 as a set of four TV-movies, then as a short-lived regular series starting that fall. 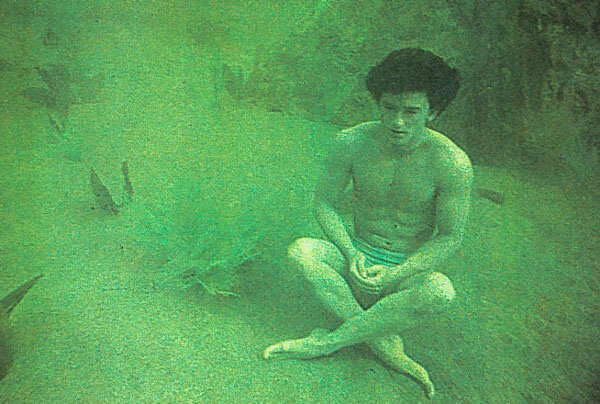 The man is question is known as Mark Harris (Patrick Duffy), whose body is washed ashore one day by the tides, unconscious. He is revived, thanks to the efforts of Dr. Elisabeth Merrill (Belinda J. Montgomery), a scientist who works for the Foundation for Oceanic Research. This quasi-governmental organization is headed by C. W. Crawford, Jr. (Alan Fudge), and tasked with research of the world’s seas. Mark is suffering from amnesia thanks to his injuries, but he’s soon discovered to apparently have been born and raised underwater as he possesses gills, subtly-webbed hands and feet, and amazing swimming speed below the surface. He also has rather unique eyes, able to see in the darkness of the depths of the ocean, and a body which can withstand the pressures of the deep. With these gifts, he becomes a valuable part of the Foundation. In exchange for his talents, he also wishes to find out about his origins, and perhaps the civilization he originally came from (thought by some to be the original Atlantis), and the resources of the Foundation are the best way to pursue his inquiries. One of those resources is the Cetecean, a state-of-the-art submarine designed to travel all over the world’s oceans, literally delving deep into the unknown areas of the globe. Since roughly three-quarters of the surface of the earth is water, that’s a lot of area to search, especially multiplied by the incredible depths involved. So, where does the team begin? In the first four TV-movies, Mark’s origins are explored and, although no real answers are found, there are at least some tantalizing hints. 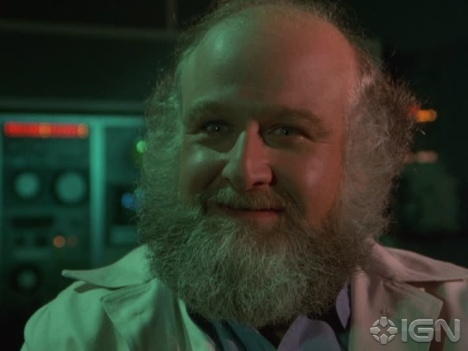 During a search for an undersea prototype sub, Mark discovers an underwater complex headed by Dr. Schubert (Victor Buono), a rather villainous type who also becomes obsessed with Mark’s existence, and who wants to learn about Mark’s abilities at any cost. Two of the TV-movies concern the possession of humans by other species, one from outer space (which crash-landed in the ocean) and another by killer spores from beneath the sea. The virtue of these stories was that much of the action took place on land, meaning less time for then-expensive underwater shooting. 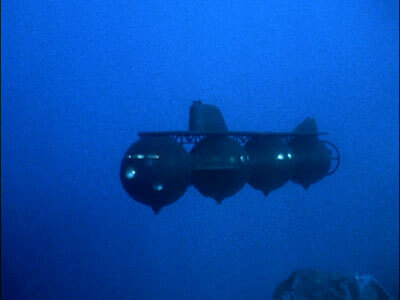 While in our current times, faking underwater filming is much more effective thanks to computer graphics and modern technology, the basics of shooting a tremendous number of scenes in a water tank doubling for the vastness of the ocean’s depths back in the late ’70’s were a major headache for producers. 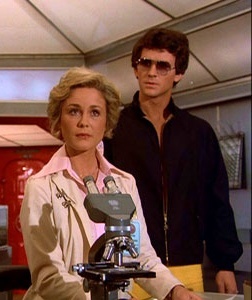 The fourth TV-movie, subtitled The Disappearances, aired in June of 1977, and was one of the highest rated programs of that week. Its performance, and the consistency of ratings for the previous entries, led to NBC ordering up weekly adventures of the Man From Atlantis. If there had been difficulties before with filming and production deadlines, trying to create these strange new underwater worlds on a series budget and seven-day shooting schedule was going to be almost as impossible as breathing underwater without gills. But the producers hoped that perhaps, with a few tweaks, it could be done. While there was less exploration of the vast underwater areas of the earth, stories now focused more on Mark and the jeopardy posed when he wasn’t regularly around water. Continued survival required his being subjected to the necessary effects of water, or his gill tissue would dry up and ultimately suffocate him. So, we have episodes where he’s locked up in jail by a misunderstanding sheriff, with Mark unable to make it back to a body of water to survive. Mark’s solution? To make such a disturbance within the cell that the sheriff is forced to “punish” him with a blast from the nearby firehose, used to “cool off” rowdy prisoners (but allowing Mark his much-needed water supply for at least a short time, until help can arrive). 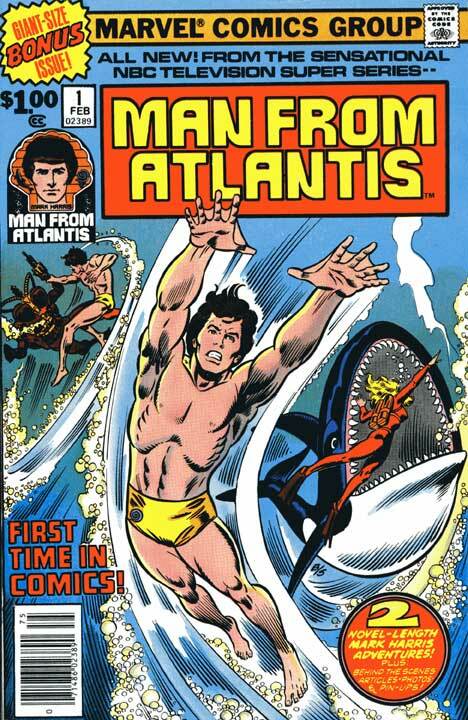 Man From Atlantis had evolved from an adventure series set in Earth’s last remaining frontier to a glorified camp comic, mainly as a result of budget and time concerns more than any actual preference to tell stories with less actual human (Atlantean?) drama. Despite the desires of all concerned to make something more serious, practical realities demanded stories that could be filmed and aired with a quicker turn-around. The series had gotten a late order for episodes anyway, so scripts were rushed, and “filmable” became another term for “good enough”. The results were less than stellar, with depth of character (both personal and dramatic) exchanged for action and black-and-white villainy. 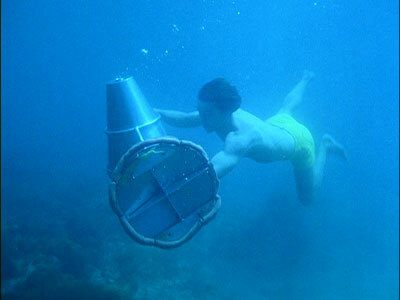 The Dr. Schubert character made a few appearances again in the series, although his motivations were much more due to his obsession with Mark and less to do with the perfection of an underwater society (as seen in the pilot). A potential amorous relationship hinted at in the TV-movies between Mark and Elisabeth was pretty much forgotten, other than concern for each others’ welfare when necessary jeopardy was involved. Many associated with the series were relatively new to the television business, and didn’t truly understand the complexities that would be involved in such an ambitious undertaking. It was especially grueling for Duffy as the lead, having to “act” underwater in many scenes. Although his later successful TV series have made him a well-recognized star, he still has an incredible fondness for the role…. All the enthusiasm in the world can’t make up for lack of real drama, budget, and the difficulties of filming a television show underwater. Ultimately, the series devolved into something that, according to Washington Post critic Tom Shales, might have been better suited for kids on a Saturday morning instead of adults on a Tuesday night. Advertisers must have thought so too, as there were prototypes for action figures created, as well as art kits, novels, and of course, real comic books. (Ironically, the books and comics allowed for more characterization than the series itself!) While these items may have endeared Man From Atlantis to legions of younger viewers, those adults who really counted in the Nielsen ratings found something else to do other than watch a program they believed was just for kids. Therefore, the subsequent lack of ratings spelled doom for Mark Harris and his friends. The Man From Atlantis may as well have discovered Davy Jones’ Locker, the final resting place of all those who’ve died at sea…. ALAN FUDGE (C. W. Crawford, Jr.) is also a television veteran, with numerous roles to his credit. He was a regular on three other show besides Man From Atlantis, those being Eischied, Paper Dolls and Bodies of Evidence. Recurring parts include such series as 7th Heaven and L.A. Law. Still a working actor, he’s recently been featured on The Closer and The Office. VICTOR BUONO (Mr. Schubert) was well-known for playing villainous roles, often with a somewhat comedic bent. His portrayal of arch-nemesis King Tut in multiple episodes of Batman as well as Count Manzeppi in The Wild, Wild West cemented this reputation among a generation of TV viewers. He was also a poet, and his verse was commonly featured during his appearances on The Tonight Show with Johnny Carson, often making self-referential comments about his large frame. He passed of a heart attack in 1982. A show with only 13 episodes really doesn’t have enough material for rerun syndication in America, and even adding in the TV-movies makes only 21 hours available. Surprisingly, Man From Atlantis holds the distinction of being the very first American television series ever sold to stations in mainland China. The British syndication of the show actually beat the venerable Tom Baker and Doctor Who in the 1978 ratings race. Despite its place in the memory of many who grew up during that time period, it has not been commercially available on DVD until very recently, although you won’t find it in stores. Warner Brothers has started a “Made-on-Demand” DVD system, allowing for select older, less publicly popular series to gain new life (and money to be made off their back catalog). Two DVD sets are now available, one containing the 4 original TV-movies, and the other containing the 13 episodes of the series. This allows fans to acquire and relive the adventures of their television memories with good quality rather than resorting to iffy bootleg copies, also allowing the studio and those responsible for their creations the chance to earn a small bit of cash back from their earlier endeavors. “Made-on-Demand” also means there’s no longer necessity for shelf space, storage, and wildly incorrect estimates of demand for titles, all positives for viewers and manufacturers alike. Although Dell Publishing printed novelizations of the original 4 TV-movies (which I’m proud to say I’ve owned all these years), opportunity also might occur because of the newly increased interest provided by the DVD release. 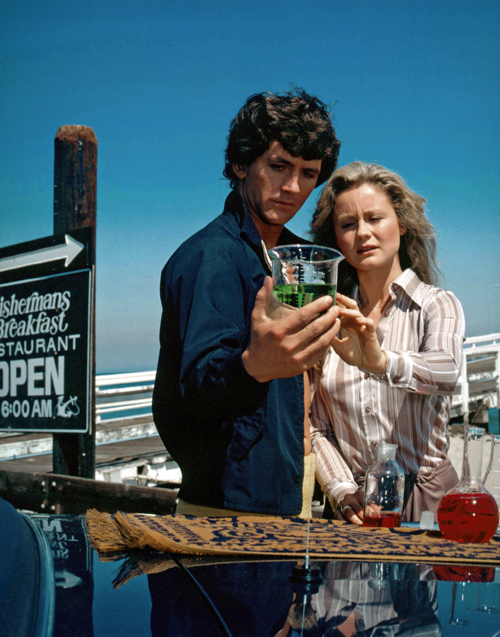 Patrick Duffy’s love for the show (and its original possibilities) have led him to write the first of three proposed books about the Man From Atlantis, telling the story (and providing more significant answers) in the fictional realm. While he’s currently seeking a publisher, in this day of e-publishing and the Print-on-Demand version of the new DVD system, I have little doubt that these new adventures will soon see the light of day. While some may deride the story quality of Man From Atlantis, the idea is still a wonderful exploration of what it means to be human and the worlds beneath the surface. Producers Herb Solow and Robert Justman, veterans of the original Star Trek series, saw the undersea world as their version of Trek‘s outer space, a place where an infinite number of stories could be told, and infinite number of possibilities existed. But even Trek creator Gene Roddenberry had to wait until the animated adventures of Star Trek to tell a story about an underwater planet, as production realities simply didn’t allow that type of episode presentation on a television budget, let alone a series full of them. No matter what the aspirations, sometimes a television series simply can’t be what it should be. Like Mark Harris on land, Man From Atlantis was simply out of its depth. But despite its imperfections, it is still a pearl… just not a perfect one. Aired at Friday 8/7 Central? The series time slot was Tuesdays at 8/7 Central, great for the kids, but not so great for the success of Man From Atlantis as a whole. In this time slot, it sank.